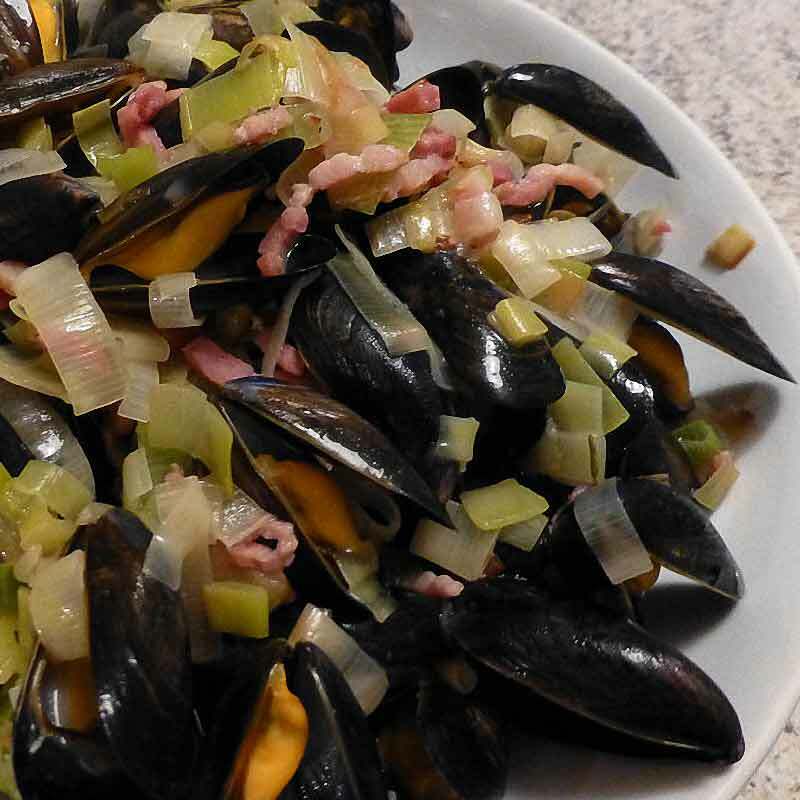 Penn Cove Mussels, bacon, and sausage! You know you want this for dinner now! The white wine offers a nice way to offset the big flavors from the other ingredients. Put the garlic, lemon juice, egg yolks, spices and bloomed saffron in a food processor. Blend the mixture until the egg yolks become light in color and start to fluff up. Slowly add the oils until the mixture is a thick and creamy mayonnaise consistency. Season to taste with sea salt and white pepper if needed. In a large sided saute pan, heat the canola oil on medium high. Add the leeks, cook until the leeks start to wilt. Add the mussels and cook them until they start to open, add the garlic, thyme, salt and pepper. When the garlic becomes aromatic (about 30 seconds), deglaze with white wine, reduce by 2/3. Add the sausage and stir in the butter until it is melted, add the basil at the end so it just opens up. Put a good Tbls of the aioli on each piece of bread, you’ll want to stir the aioli with the bread into each dish of mussels, if you grill the bread it will have a nice charred flavor to it.